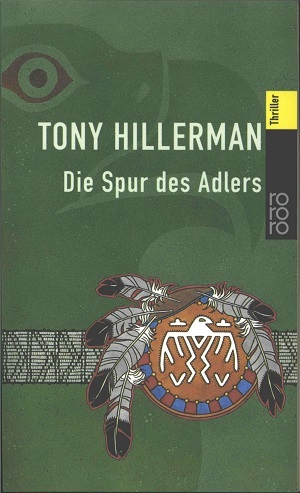 This is the German first edition paperback of The First Eagle, published in 2000 by Rowohlt Taschenbuch Verlag GmbH in Hamburg, Germany. The text was translated into German by Fried Eickhoff. The cover was designed by Notburga Stelzer and illustrated by Jürgen Mick. Binding: Paper covers with full color illustration. The thriller number, title, author, and the publisher's logo are printed vertically on the spine.